Although cardiac arrest often occurs with no warning, in some cases, there are symptoms and signs that precede cardiac arrest before it occurs. The following are a few signs that you should seek medical attention immediately. Fatigue is a symptom common among most conditions that cause heart arrhythmias, including cardiac arrest. Fainting, medically known as syncope, is a temporary loss of consciousness. It is due to a temporary loss of the brain’s blood supply and can be a sign of an underlying heart problem. Due to an insufficient blood flow to the brain, you may experience fainting or dizziness after standing up quickly from a lying position. 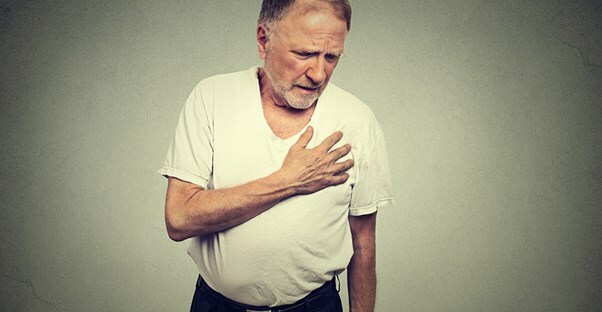 Heart problems, including cardiac arrest, commonly cause chest pain. This may feel like a tightness, heavy pressure, squeezing, or crushing pain. Sometimes, the pain will spread throughout your body, especially to your arm, shoulder, jaw, or back. Also known as dyspnea, shortness of breath is usually caused by heart or lung conditions. This is because your heart and lungs transport oxygen to your tissues and remove carbon dioxide. Cardiac arrest can interfere with this process and affect your breathing. Due to an irregular heartbeat, you may lack strength and experience a general feeling of weakness in your limbs. Heart palpitations feel like a rapid, fluttering, or pounding heartbeat. Stress, exercise, and medication can trigger heart palpitations. In rare, and more serious, cases, they can be a symptom of cardiac arrest. An uneasy stomach or urge to vomit are other warning signs of cardiac arrest. However, if you're only experience nausea and no other symptoms associated with cardiac arrest, there's a good chance it's being caused by something less serious. If you have any of the above signs or symptoms, do not hesitate to see your doctor. If these symptoms are ongoing, you should call 911 or seek emergency medical help. It is essential that you seek medical attention immediately when dealing with cardiac arrest. If the heart stops, brain damage can occur within a few minutes due to the lack of blood flow. In only four to six minutes, death or permanent brain damage is expected.